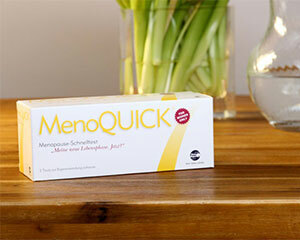 Menopause test kit; find out if you’re menopausal in only 5 minutes! The symptoms can start years before your periods stop so that is not a reliable indicator of whether it’s the menopause. There are a lot of ways that your doctor can help relieve menopausal symptoms so it’s a good idea to find out as soon as possible if you have begun the menopause. This is easier said than done when appointments are so hard to come by – you can save yourself a lot of time and hassle by checking at home with this FSH test kit! FSH stands for Follicle Stimulating Hormone. This is a hormone produced by your pituitary gland that stimulates your ovaries to produce eggs. As your ovaries stop making eggs, the level of FSH in your body decreases – this makes it a reliable indicator of whether you are entering the menopause. Once you know whether your FSH levels are suggestive of the menopause you can have a much better understanding of what’s causing your symptoms and discomfort. You will have your results in only 5 minutes! The indicator on the test cassette will show one line if you’re not menopausal or two if you are.